Just outside Colorado's bustling capital, this award-winning AAA 3 Diamond Best Western Plus Denver Tech Center Hotel puts you in the perfect place to tackle business or take in the sites. Located in the heart of the DTC, this Greenwood Village hotel allows convenient access to I-25 or our city's Lite-Rail station. From there, great food, museums, sporting events and entertainment awaits. Our guests are always our priority, with a complimentary hot breakfast to start your day. Pillow top king and queen beds and comfortable rooms make it easy for business travelers and friends alike to get a good night's rest. Adjoining rooms and extended stays are available to make your trip easier. Fun and affordable attractions lie just outside our doors. Fiddlers Green Amphitheater and its neighboring top cuisines and shops are just blocks away. Our Greenwood Village hotel is also close to the Aurora Sports Complex and Family Sports Center, Coors Field, Pepsi Center and if theres nothing better than taking in a game, Denver Broncos Game is a must! We welcome a number of medical tourists and healthcare professionals in town for Sky Ridge Hospital. Service men and women with Buckley Air Force Base and the Colorado National Guard call us their home away from home. 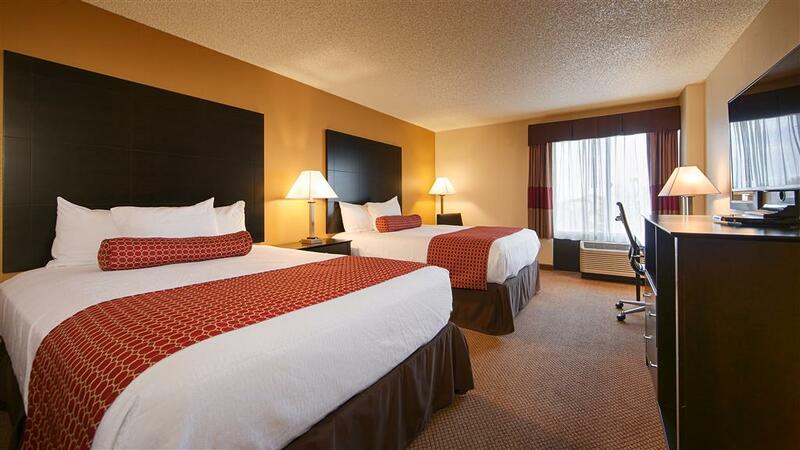 Reserve an affordable stay at the Best Western Plus Denver Tech Center Hotel. Enjoy your stay. From: North. Exit 197 for Arapahoe Road, go East. Turn left at Boston Street. Turn left at Southtech Drive and left again into the parking lot of the Best Western Plus Denver Tech Center. From: South. Exit 197 for Arapahoe Road, go East. Turn left at Boston Street. Turn left at Southtech Drive and left again into the parking lot of the Best Western Plus Denver Tech Center. Park Meadows Mall,3.00 mile(s) from Park Meadows Mall, full mall located in the Lone Tree area with several dining amenities in and surrounding the mall.